in Mind & Body Wellness. 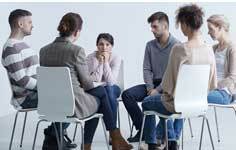 Work one-on-one with a trained mental health clinician in a safe, caring, and confidential environment. Find therapy that supports intimate relationships for effective communication and healing. 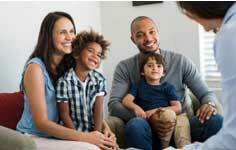 We serve traditional families, nontraditional families, step/blended families, and extended family. Mutual support and learning that occurs from interaction with others who have shared experiences. I don’t know where we would be today without the guidance of the Granato Group. We have used them throughout the years and they have always been there to support each member of our family as we struggle to cope with chronic illness in our family. I am happy to say that we are all stronger today, thanks to the expert care we have received over the years. Our couples counselor helped us understand each other’s perspective, communicate better and ultimately have a much closer, happier marriage. Several of our couples friends have also participated in Granato Group’s relationships programs and we would do it again in a heartbeat!